A pristine and clearly identifiable preferred model Pra Sum Gor Kru Wat Tap Khaw Benjapakee amulet, of particular beauty with highly refined features, of Pra Niyom Master Class. 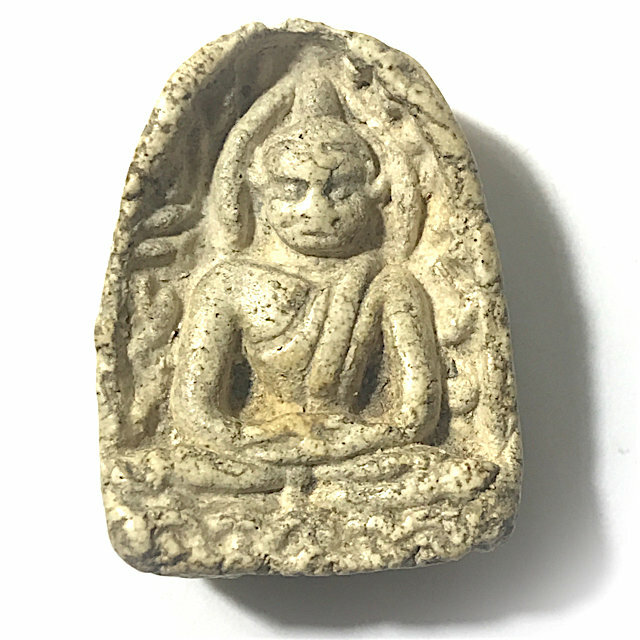 The Pra Pim Sum Gor was found in smaller and larger sizes (Pim Lek, Pim Yai), this Pim being a Pim Yai, measuring 3 x 2 Cm. The Muan sarn has all the expected features and identical aspects to the Pra Somdej Wat Rakang Kositaram of Somdej Pra Puttajarn (Dto) Prohmrangsri.